Investment | Immigration Attorney Fort lauderdale, FL - Miami, FL Adam Franzen. P.A. The Immigration Act of 1990 (“IMMACT 90”) helped create the Immigrant Investor Program as the fifth preference category for employment-based immigration, also referred to as EB-5. This was the first time a category expressly granted the admission of immigrant investors as lawful permanent residents (LPR’s) and presently is the only such category to do so. The EB-5 Immigrant Investor Program is accessible to those immigrants who have invested, or are in the process of investing at least $1 million in a new commercial enterprise employing at least 10 full-time U.S. workers. Individuals who invest in a “targeted employment area” (TEA), however, only have to invest a minimum of $500,000. The purpose of the EB-5 is to kick-start the U.S. economy through job creation and capital investment by granting immigrant investors the benefits of permanent residency in the United States. Roughly 10,000 visa numbers are allocated annually to EB-5 investors. USCIS reserves 3,000 EB-5 visas for aliens who invest in TEAs and 3,000 for aliens who invest in commercial enterprises affiliated with Regional Centers, as described below. However, the investor program has traditionally been far below capacity. In the years following the program, USCIS issued roughly 300-400 EB-5 visas. When the EB-5 visa program first commenced, it did not include the Immigrant Investor Regional Center Program, a USCIS five-year immigrant investor pilot program started in 1993 to encourage more investors to apply for EB-5 permanent residency. The intent of the Immigrant Investor Pilot Program is to attract more foreign investors to fund businesses and projects in specific “regional centers” that would alternatively be difficult to attract domestic investors based on the current direction of geographical market trends. By bringing such investment into areas of economic hardship and high unemployment, Congress aims to grow job expansion, improved regional productivity, invest in infrastructure, and assist the growth of ground breaking new businesses. Congress has made the Immigrant Investor Pilot program specifically appealing to foreign investors by reducing the investment minimum to $500,000 (for a troubled business in a designated regional center) as opposed to $1,000,000, allowing a less restrictive job creation requirement based upon the creation of “direct” and “indirect” jobs and not requiring the day to day management of the business. The Immigrant Investor Pilot Program has been continued several times, and was recently extended through September 30, 2012. With important improvements made in the consistency of the EB-5 visa, investors have begun to demonstrate more confidence and concern in the program. Each successive year, the EB-5 visa has grown in popularity. For example, in 2008, USCIS issued roughly 1,360 EB-5 visas. In 2009, this number was to over 4,000 EB-5 visas; half of these came directly from China. Part of this increase was due to the exceptional economic growth of China and the development of many independently wealthy individuals. Approval for the EB-5 visa is high. In 2009, USCIS received 1,028 submissions of Form I-526. Of these, 966 were approved and 163 were denied. Similarly, in 2010, USCIS received almost 1,100 Form I-526. Of these, 955 were approved and 113 were denied. See EB-5 Immigrant Investor Program Memo released by the U.S. Department of Homeland Security on June 16, 2010 for more details. The EB-5 visa program offers a positive immigration answer for those who have the financial resources to qualify. It does not require an employment offer from a United States employer as other employment-based immigration categories do, nor does it warrant a labor certificate. With the current economic condition, USCIS has relaxed its specifications for the EB-5 program as a means to bring in more foreign investment. 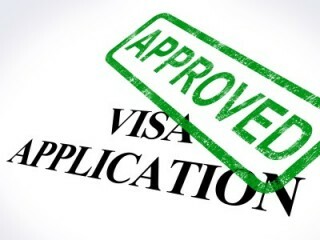 Above all, because the annual quota constantly exceeds the number of applicants, those who qualify for EB-5 status do not typically have to wait long for a visa as there is currently no visa accumulation for the EB-5 investor category. Normally, the minimum investment required to qualify for EB-5 status is $1,000,000. However, this limit is reduced to $500,000 in cases of investment in “targeted employment areas.” Such qualifying areas shall have an unemployment rate 150% of the national average. A rural area refers to municipal areas with a population less than 20,000. All states keep a list of “targeted employment areas” for your reference. Please note that if there is a redemption clause in a commercial enterprise’s agreement that guarantees the return of a petitioner’s investment, such assets will not be deemed as “at risk” and the petitioner must infuse the full amount of “at risk” capital into an enterprise or business. All assets acquired indirectly or directly by unlawful means such as criminal activities are not acceptable capital funds. Practically speaking, USCIS is very rigid about inspecting the legitimacy of funds. Equipment, cash, other tangible property, inventory, cash equivalents, and indebtedness secured by assets owned by the investor are acceptable investments for EB-5 aims. A loan to the company or any other debt between the company and investor does not embody an investment because such a monetary transfer does not bear any investment risk (see exceptions, see below). All capital shall be valued at fair market in U.S. dollars. The investor need not commit his/her entire capital at once, but the investment must essentially complete prior to the end of the 2-year conditional residency period. If there is a lack of documentation tracing funds from the deceased’s estate to the investor, a statement of thorough explanation of the relationship, the amount inherited, and other circumstances concerning the inheritance is needed. Lender’s business registration record, business income tax returns if the lender is a business or personal income tax return if the lender is an individual. There are several criteria investors should pay close attention to when investing in a new enterprise: An enterprise is considered “new” if it was established after Nov. 29, 1990. Enterprises established prior to this date can also be considered new enterprises if they have gone through re-organization or substantial change, which means they have a 40% increase in either the net worth or the number of employees it has. Any for-profit entity of lawful business is considered a commercial enterprise. This does not however, include non-profit organizations. EB-5 has no specific requirement for the type of invested enterprise. Limited partnerships, corporations, limited liability companies and are all adequately fine. However, the choice of business type is very important for tax and management purposes. For more on this information about business types, please read below. Other than in a regional center company case, investors need to participate in the operational management of the invested enterprise; thus, this can be completed by taking a managing position, participating in the decision-making process or being a limited partner in a LLP. In most cases, the participation requirement can be waived. USCIS excludes corporate and other non-individuals as an investor from the EB-5 category. Nevertheless, it is adequately fine for multiple investors seeking EB-5 status to join together as long as each investor introduces the requisite amount of capital into an enterprise and each investment creates at least 10 full-time positions for this to be satisfied. Businesses can take many different forms under United States law. There are many different criteria that influence a business’ decision to take on a particular form. The organizational structure of a business can affect its overall success. Corporations are the most familiar business structure. A corporation exists as a separate legal entity. Meaning, that when an individual incorporates his/her business in a particular state, that corporation is responsible for its actions, including debts and taxes. Usually, under this structure, shareholders and corporate officers cannot be held personally liable for the actions of that corporation. Furthermore, ownership of corporate stock may be transferred by gift or by sale, subject to specific corporate restrictions. An incorporated business may sell, buy, and hold property under the corporation name and enjoy unlimited life, in that the business remains unaffected by the death of an officer, director or shareholder. Alternatively, some types of corporations are subject to “double taxation.” Meaning, that profit is first taxed at the corporate level and then again at the personal level. A limited liability company (LLC) exists as a separate legal entity. This structure combines a few of the limited liability advantages of a corporation with the tax-related benefits of avoiding the double taxation associated with a partnership. One of the best advantages of an LLC is that the business can choose how it would like to be taxed—as a partnership or corporation. Furthermore, there is no limit to the number of shareholders that can exist in this structure as an LLC. An LLC can be managed either through “member management,” in which all members of the LLC have a say, or through “manager management,” in which members appoint a manager to direct and operate the business. Many states have implemented “franchise taxes” for LLCs which serve as fees to the company for the limited liability and flexibility they employ. A limited partnership happens when two or more individuals join together to form a business by contributing capital, property, skills or labor in exchange for part of the profit or losses of a business. Usually, in a limited partnership, there is only one general partner and one or more limited partners with limited duties and liabilities. With this makeup, the general partner(s) have full management responsibilities and control daily business functions. The limited partner is usually a passive investor. The Limited partnerships appreciate the tax advantages of avoiding double taxation on their profit. However, partners are personally liable and not all partners share liability equally. Examples of limited partnerships include large law firms.